Hormel Foods and Hy-Vee, Inc. donated more than 26,000 units of SKIPPY® peanut butter Friday to Harvesters – The Community Food Bank to support its mission to feed hungry people today and work to end hunger tomorrow in northwestern Missouri and northeastern Kansas. The donation was part of the hunger program created by the makers of SKIPPY® peanut butter in 2018. The program involves a partnership between Hormel Foods and grocery retailers across the country and is part of the company’s philanthropic efforts that focus on hunger and education. The peanut butter – enough to make more than 370,000 peanut butter sandwiches, arrived at Harvesters – The Community Food Bank on Friday, Sept. 21. 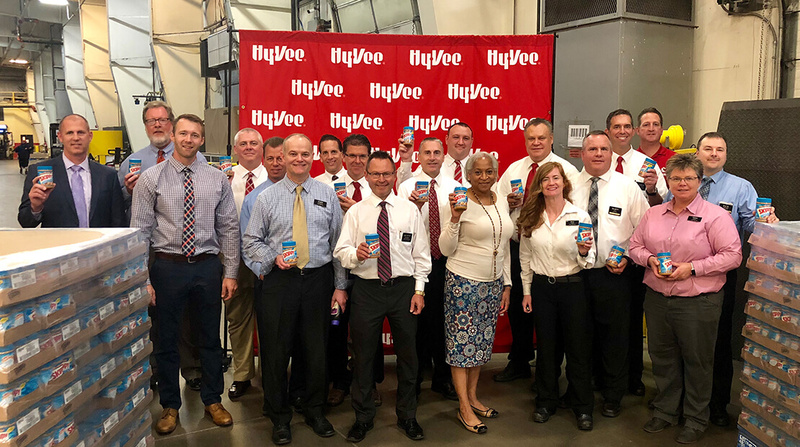 Additionally, the donation was part of the many activities Hy-Vee has planned across its eight-state territory for National Family Meals Month.